450 Horsepower in a hybrid? Va-va-vrroom! 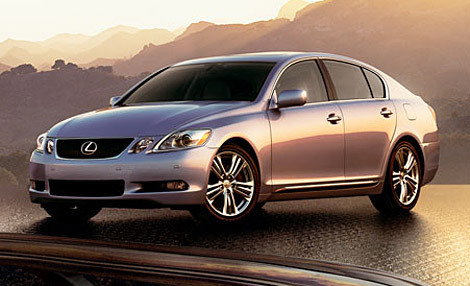 KELOWNA, British Columbia - Kudos to Lexus for changing its tune on the whole hybrid vehicle concept. Yes, fuel savings and low emissions are still a primary part of its message, but, with the recent launch of the "world's first hybrid luxury sedan," the GS 450h, the brand's begun touting the performance gains a gas/electric setup can provide. I have to admit I was initially skeptical about the idea -- not only is the gas/electric flag waving getting a bit tiresome, but hybrids can be decidedly "meh," behind the wheel. Nevertheless, it took just one rain-soaked, day-long hot lap around Lake Okanagan in southern B.C. with the 450h to prove that Lexus has pioneered a new concept in performance driving. The execution is really quite simple: The GS 450h is the first front-engine, rear-drive, full-hybrid vehicle. In place of the GS 430's 4.3-litre V8 and six-speed gearbox, there are a 3.5-litre V6 and a Continuously Variable Transmission (CVT) housing two electric motors. While one works to recharge the nickel metal hydride battery pack behind the rear seat, the other motor actually helps to spin the driveshaft, simultaneously increasing power to the rear wheels and taking some of the burden off the gasoline engine. Like most gas/electrics, the GS 450h also shuts off its petrol mill at a stop or under light loads and employs regenerative braking to recharge the batteries. The internal combustion engine is the same V6 used in the IS350 sedan, though slightly detuned for use with the Lexus Hybrid Drive powertrain. 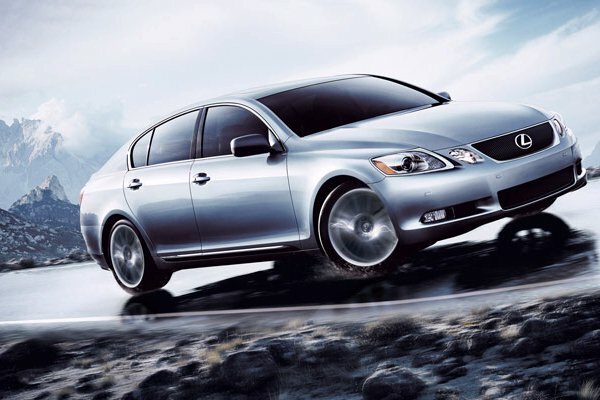 Delivering 292 horsepower at 6,400 rpm and 267 lb-ft of torque at 4,800 rpm, it employs dual variable valve timing and Lexus' direct and port fuel injection system, which won AJAC's 2006 best new technology award. The electric motor is a 650-volt DC unit providing 147 kW (197 hp) and a torque rating of 203 lb-ft. Helping to get power to the road smoothly is, of course, the hybrid computer, along with the aforementioned electronically controlled CVT, and Lexus's Electronic Throttle Control System with intelligence (ETCS-i). The net result, according to the automaker, is a combined horsepower rating of 339 ponies, equivalent to a 4.5-litre V8 (hence the "450" nomenclature) and a 0-100 km/h time of around 5.2 seconds, all while delivering a Super Ultra Low Emissions Vehicle (SULEV) rating and city fuel economy of 8.7 L/100 km (32 mpg) and 7.8 L/100 km (36 mpg) on the highway. While Lexus didn't provide figures for torque, we can say there is gobs of it. The GS 450h surges off the line with a cool little electric hum accompanying the V6's growl ... almost like a slot car charging forward. Even at triple digits, you can mash the go pedal and the electric motor's extra twist can be felt (despite standard traction and stability control, you can still wiggle the tail on wet pavement). As with all Lexi, the 450h tracks wonderfully through a corner, preferring a more dampened feel than some harder nosed German competitors. The gas/electric GS also employs a centre console switch with Power and Hybrid modes. The latter is a fuel conservation mode, with the CVT keeping revs low and the electric motor gently helping progress. Select Sport and the car turns burly, with the V6 revving hot and heavy and the electric motor sending as much power as it can rearward. It's like Super Pursuit Mode without David Hasselhoff. Aside from the hybrid powertrain, the GS 450h is very much a sleeper. Cosmetically, there's only unique 18-inch wheels, subtle hybrid-specific badging on the rocker panels and rear end, and a special Icicle Blue Pearl Paint colour to distinguish it from the petrol-only GS. Equipment-wise, the GS 450h comes only in one fully-loaded model, equivalent to a topped-up GS 430. Notable features include 10 airbags, adaptive suspension, Mark Levinson audio, heated and cooled seats and a back-up camera. The aluminum gauges are unique to the GS 450h, with a Power Meter rather than a tachometer and a hybrid system and fuel consumption monitor in the navigation screen. In the end, the only real drawback of the GS 450h is the negative effect it has on the GS 430. At $76,900, you pay $11,100 less than the equivalent V8 sedan and get the same equipment, along with better performance and fuel economy. So does the GS 450h mean the death of the V8? Certainly not, just the beginning of a new performance niche.